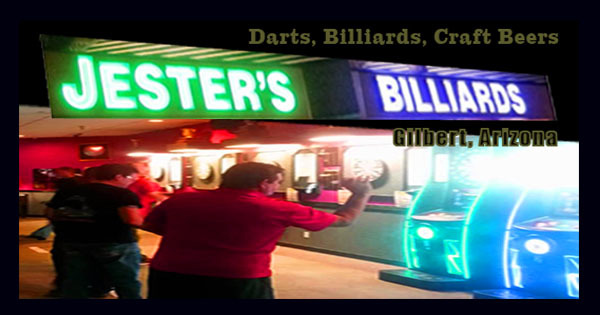 It’s not often that we at Jester’s Billiards recommend a book (since playing darts and shooting pool is more of our “thing”) but if you want to Play Darts like a Pro, then this book by John Rafa is a treasure! Whether beginner, intermediate or “pretty darn good” this book will help you get better. Of course, as the author says, this is a “training tool.” Practice makes perfect, so… practice! 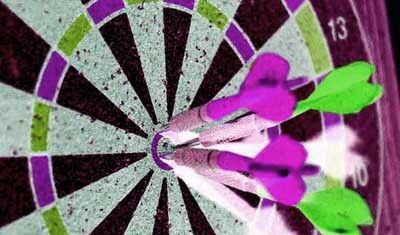 What “Darts – Play Like a Pro” does offer is a course in how to play darts the right way – and winning at the game is always the “right way” to do it! … and throwing darts in a league is a great way to practice, and meet some awesome new people who love darts just as much as you do! “Darts: Play like a Pro” is an education and training tool for players wanting to compete in the sport of steel-tip and soft-tip darts. It is not the arrow – it is the archer; invest in yourself. A “world of darts” directory helps a player find a game through one of the organizing bodies… and, much more.